Amplifiers, Actuators, and Mechanisms for industrial, scientific, and consumer applications. 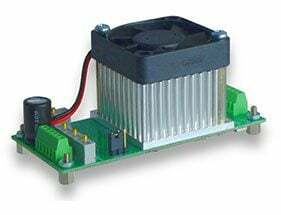 Complete power supply and high-performance linear amplifier modules for driving piezoelectric actuators. High bandwidth, low-noise linear amplifiers for driving piezoelectric actuators. PiezoDrive has more than ten years experience in the design and construction of precision piezoelectric drives and systems. 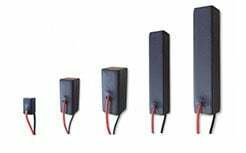 High performance piezoelectric stack actuators provide a large range of motion, fast response, and sub-nanometer resolution. 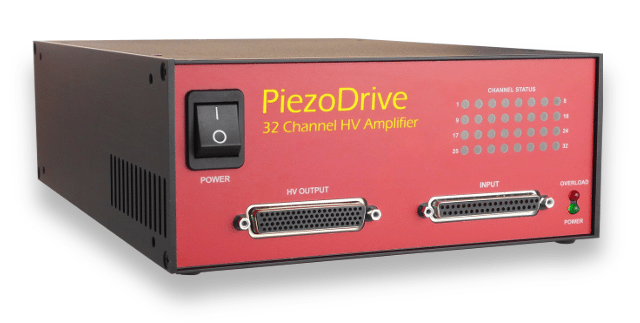 PiezoDrive develops high-performance amplifiers, actuators, and mechanisms for industrial, scientific, and consumer applications. Standard and custom piezo drivers, amplifiers, actuators, sensors, mechanisms, and power harvesting systems. Application include semiconductor machinery, microscopy, vibration control, high speed valves, optics, biomedical devices, and scientific instrumentation.